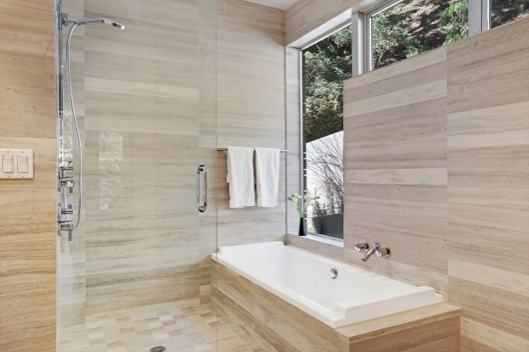 2015 is going to be full of high-tech, luxury bathroom remodeling ideas that will make you want to take a nice long bath or a steam shower. 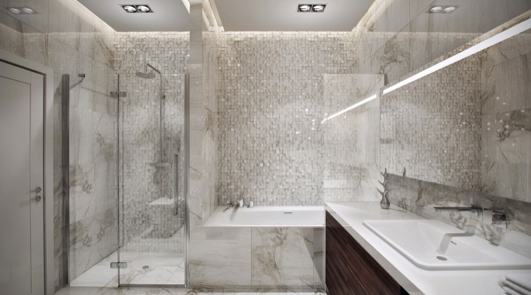 From steam showers to designer lighting fixtures, bathrooms are totally taking the spotlight next year. 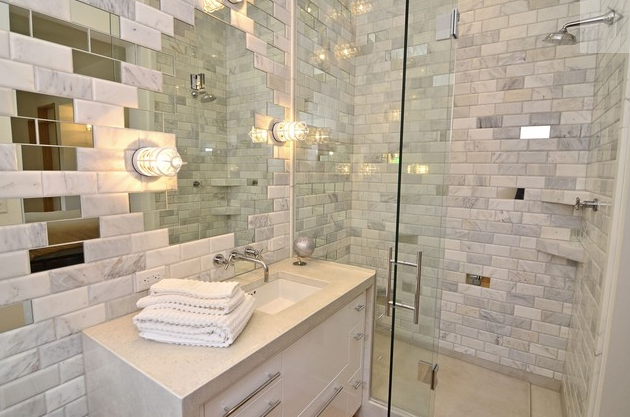 Glass tiles mixed with marble bring a complete 3-dimensional effect to bathroom walls. 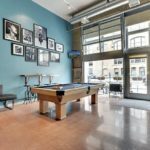 You can keep the glass tiles simple and neutral colored, do punchy and bold colors, or even go sparkly like the first image. There’s no need to pay for a steam room at a gym when you can have that luxury in the comfort of your own home! With just an extra faucet or two, you can transform your shower into a relaxing steam room. 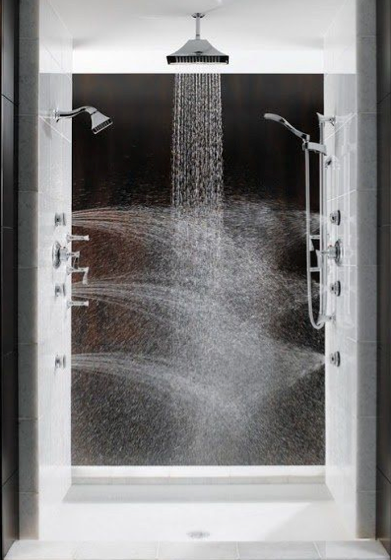 Windows in the shower sound a little strange, but look how great they are! They add a great dimension of light, and of course, you can always hang a nice curtain over them if you want privacy. 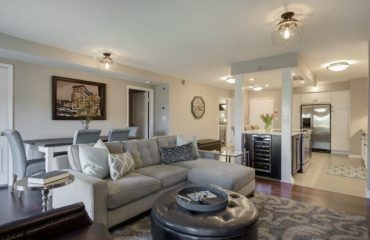 Nobody ever said designer lighting was reserved for kitchens and living rooms! 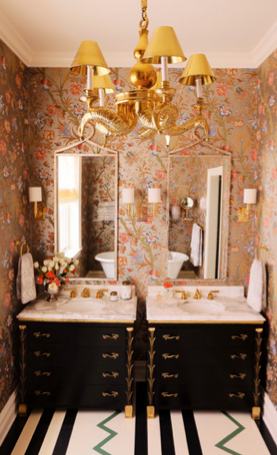 Look how amazing these fixtures are. And anybody who puts on makeup in the morning can appreciate some good lighting. It’s fine to share a vanity, but it’s amazing to have your own – one that you can dress up exactly as you like it. Plus, women don’t have to deal with men’s facial hair all over their sinks and men don’t have to deal with women’s surplus of makeup and products. 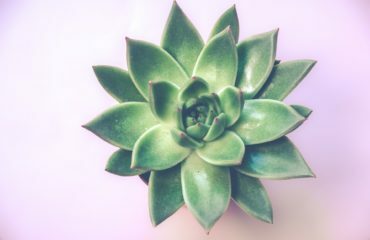 Not only is it fun to get creative with mirrors, but it’s easy! 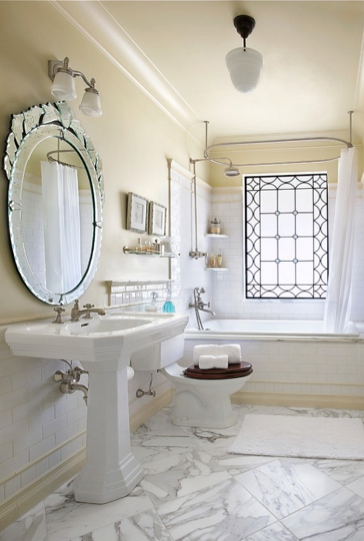 A little mirror upgrade can completely change your bathroom. 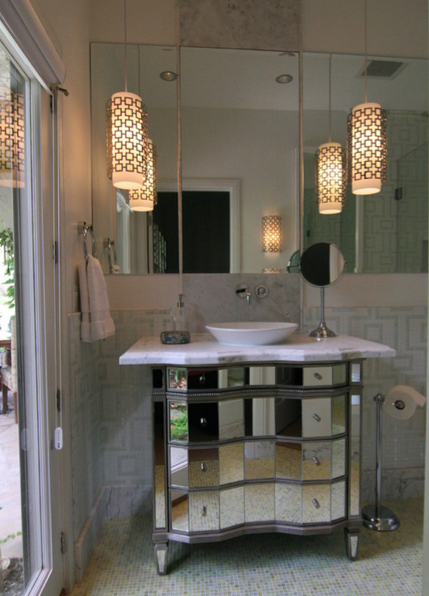 Mirrors with odd shapes or bright colors can add just as much, if not more, than a new paint job or shower curtain. 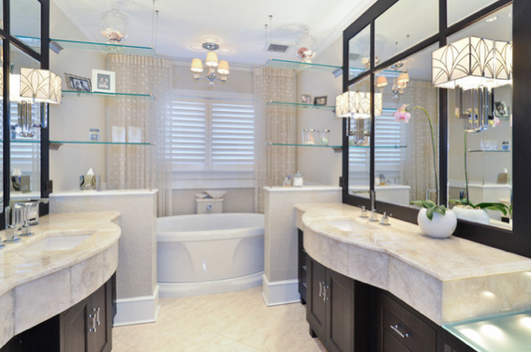 Next year, turn your bathroom into an oasis by embracing any one of these hot trends. 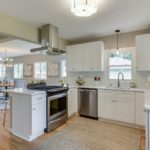 For more ideas on tackling your home projects, check out these 65 Unbelievably Simple Home Improvement Tips.